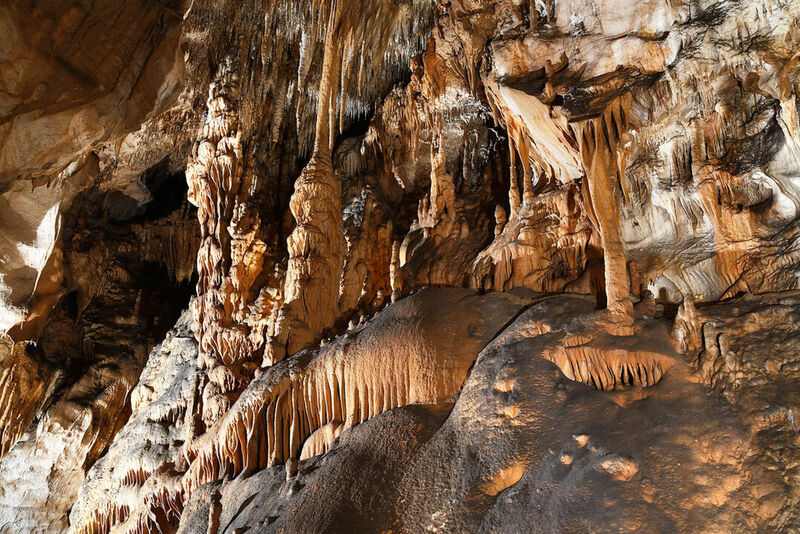 Formed by the activity of the ground reach of the Bodva river, the Jasovská jaskyňa cave was already inhabited by the Neolithic man. The locals knew about the cave in the Middle Ages and used it as hiding in time of Tartar or Turkish raids. The entrance of the Jasovská jaskyňa cave is situated in the eastern face of the Jasovská skala rock, 257 m above sea level. Its passageways are arranged in five levels and cover a total length of 2,811 metres. The sightseeing route is 720 m long and takes about 45 minutes. 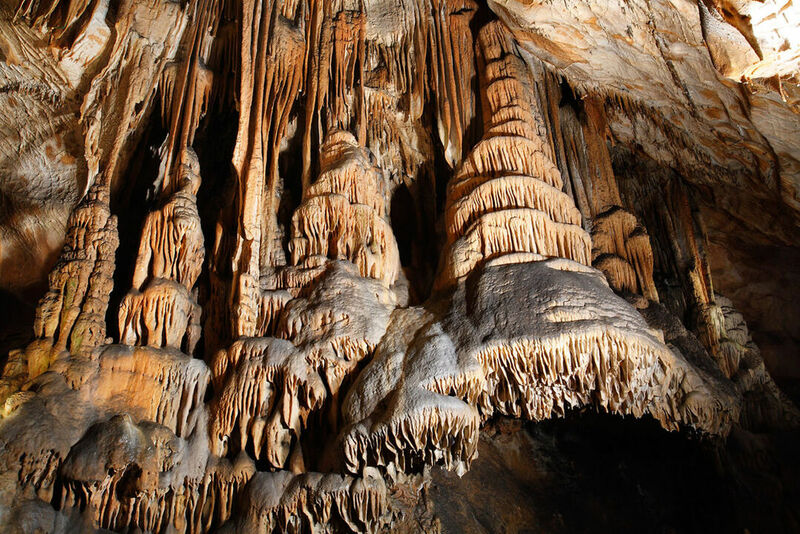 The cave is extra rich in forms and colours of its dripstone ornamentation. Many species of bats inhabit this cave. The cave was probably discovered by members of the monastic order of the Premonstratensians from the local monastery, who also made the cave available for the public as early as 1846. A number of historical inscriptions, earliest of which goes back the era of the Hussite Wars and is dated 1452, have been preserved on the cave's walls. An area called the Bat Cathedral is used for speleotherapy and climatotherapy of asthma and allergic diseases.